Record breakers and chart toppers Ward Thomas headline The Roadmender on May 23 as part of their biggest headline tour to date. The twins Catherine and Lizzy made history with their major label debut when it reached the top spot in the UK Album Charts, becoming the first ever UK country act to achieve the feat. This tour comes on the back of an impressive run of 16 sold out UK dates in October. Written in Nashville in 2014, Cartwheels was the song that kick-started the writing process for Ward Thomas’ second LP which has sold more than 75,000 copies. Reflecting on experiences of young women and men everywhere, it tells the sad tale of someone who refuses to accept that a relationship is over. The story is brought to life by the sisters’ stripped back vocals and beguiling harmonies. The pair became country crossover stars with their independently released 2014 debut album From Where We Stand which sold more than 25,000 copies in the UK. 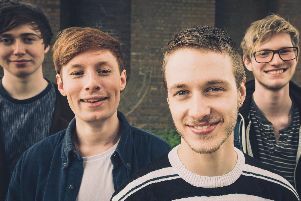 In March Ward Thomas released the EP, A Shorter Story, a collection of some of their favourite covers. This EP was followed by the interactive video for Material, the latest single to be taken from Cartwheels. The video allows views to seamlessly flick between Catherine and Lizzy’s vocals, either solo or together in harmony. This summer they will also play at Glastonbury, Latitude and Cornbury as well as supporting Tom Petty at BST Hyde Park in July and Miranda Lambert.